During Mike’s career of more than 40 years as a professional artist, his first passion has been portraiture. Mike loves to paint from life for his character studies, but his formal portraits are usually painted from photographs taken by him personally or by a professional photographer under Mike’s direction. Mike paints in a traditional representational style combining the best of realistic, classical and impressionistic methods. He takes commissions for corporate and family portraits, as well as for landscapes and other subjects. Mike can do a portrait as an oil painting or pastel painting according to his client’s preference. Mike is located in Santa Fe, New Mexico, and receives commissions from throughout the country. He is a signature member of the Pastel Society of America (PSA), American Plains Artist (APA), Plein Air Painters of New Mexico (PAPNM), Pastel Painters of New Mexico (PSNM); and has been an active member of the Portrait Society of America for many years. One of his portraits was featured in the book, 100 Ways to Paint People and Figures, published in 2004 by International Artist Magazine. Group Portraiture: The first portrait is full price; each additional figure or special background is one-half the first portrait price. A portrait painting is at approximately 3/4 to life-size. Significant variations from life size can affect the price. Head & Shoulders $2400 . Commissioned work requires a signed contract. Mike requires 25% down in order to secure a place on his painting schedule, and to begin designing each commissioned work. Upon the client’s approval of his design concept, another 25% is due. The remaining 50% is due upon clientss final approval of the finished painting. Any necessary and mutually agreed upon travel and framing expenses will be extra, and due at completion. 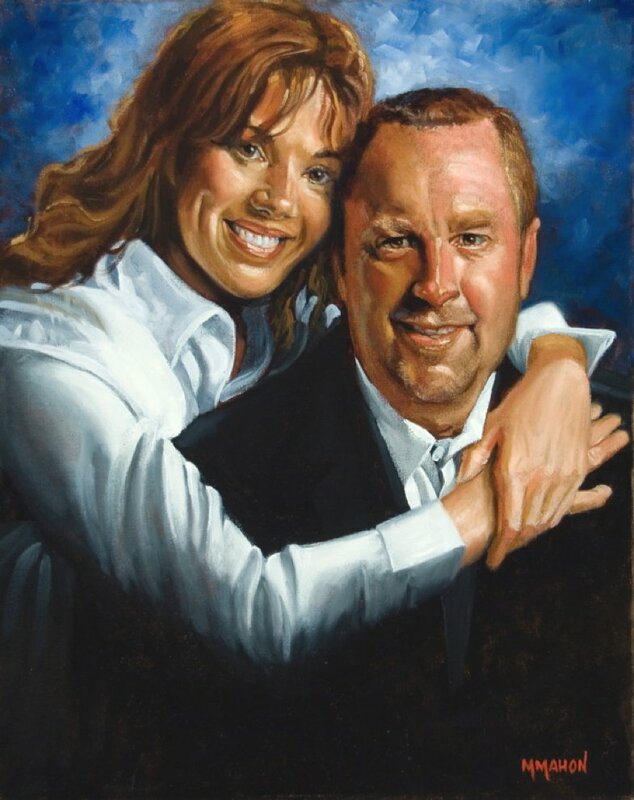 Oil painting portraits and pastel painting portraits are priced the same.